I can’t believe I am writing this. But it is the way I feel. 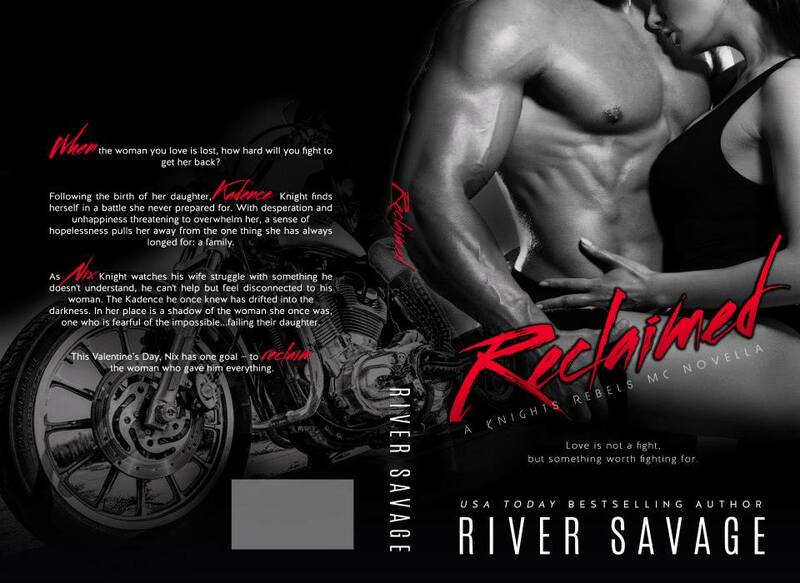 Reclaimed by River Savage 3 Stars – What! How can it be? Yes, River is a fantastic writer at expressing emotions. Yes, I know it is a short story. 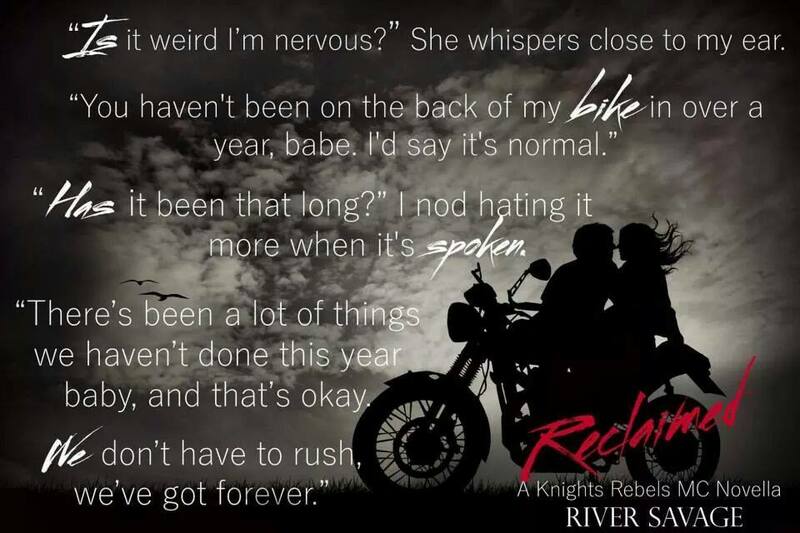 It is a continuation of Nix and Kadence and what happens after they have a baby. The story line flows. The characters are great for each other. I can relate with Kadence’s story with breastfeeding and postpartum depression. But there are some details lacking and a scene that would not happen in real life that drives me crazy. Problem 1: Nix son Z. How long is that kind going to be 11? Like I said River does a wonderful job with emotion. But the writer forgets the MC she created is one that IS still trying to be a little hard but legal. Hell, she even brings up a turf war is about to go down with another MC. Problem 3: Major foreshadowing in this book of what to expect for the next book with Beau and the other club. I knew completely how the plot for Affliction was going to read. Sy’s story was a common and used before in other books I have read previously, but the details were better. Therefore, I looked at it differently. But the foreshadowing is losing my interest and desire to read the next one or two stories. But I did promise my Blog and viewers for an honest review. So at this time, with a heavy heart I will no longer review for this author. I do not feel that this author is as professional as she thinks she is with her fans. I did love it at first how she puts herself out there, but her attitude of “my way, my way, my way” is very annoying and rude. She is quick to accuse and create a riot with post and comments. If the author does not mean to do this, well one should look at her writing. Words express it all. It been a blast on this journey, but I am jumping off the bandwagon and onto the next one. Peace out!